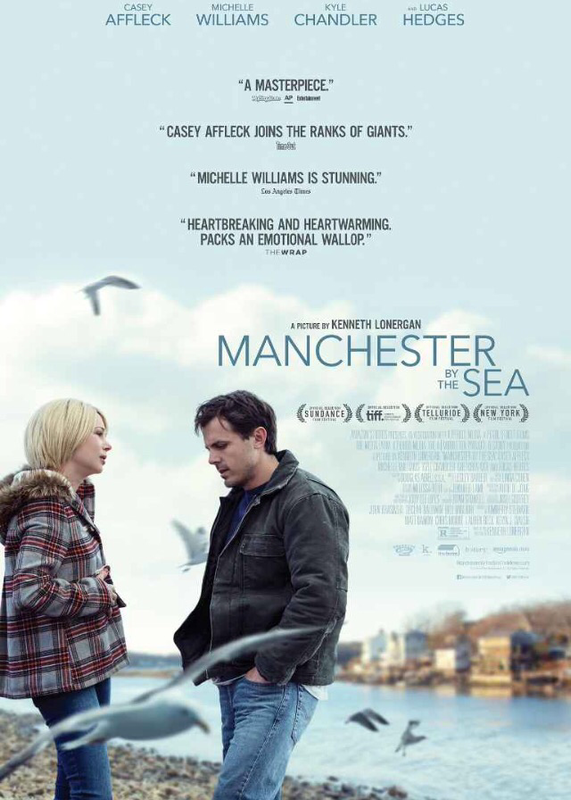 Manchester By The Sea tells the story of janitor Lee Chandler, played by Casey Affleck in a career defining role. The film opens with Lee living a secluded existence in Quincy, Massachusetts before he is called back to his home town of Manchester after the death of his brother. Lee is unexpectedly given permanent custody of his sixteen year old nephew Patrick and is forced to abandon his solitary life, as well as face the demons of his past. As Lee learns to cope with this sudden responsibility, we are given glimpses into his previous life and what led him to leave his home town. While there are many clichéd Hollywood films featuring similar plot lines, this is no such tale. Manchester By The Sea is a story of loss and grief and is one of the most beautiful yet heart-breaking films I have ever seen. A week later, I still find myself thinking about the film and its central character every day. Casey Affleck delivers a nuanced and haunting performance that is the highlight of his career. He is a most deserved winner of the Best Actor Oscar at this year’s Academy Awards, not to mention the slew of awards he has received for such a challenging role. Other notable mentions must go to Michelle Williams, who is incredible as Lee’s ex-wife Randi, and Lucas Hedges in a memorable performance as Lee’s nephew Patrick. He is a remarkable new talent and looks set to have a bright future in Hollywood. Both deserve all the recognition they have received this awards season. While this movie is a tragic tear-jerker, it has many comic moments, particularly as Lee deals with caring for his nephew and all the trials and tribulations that come with teenage life. Lighter touches include Patrick’s recurring requests for money and his juggling of his two girlfriends as well as the witty banter between Patrick and his uncle. This film has now become a firm favourite of mine and I can’t recommend it enough. A note of warning though; tissues are strongly advised when viewing this movie. I experienced a wave of emotions throughout the film, from laughing hysterically one minute to weeping uncontrollably the next moment. 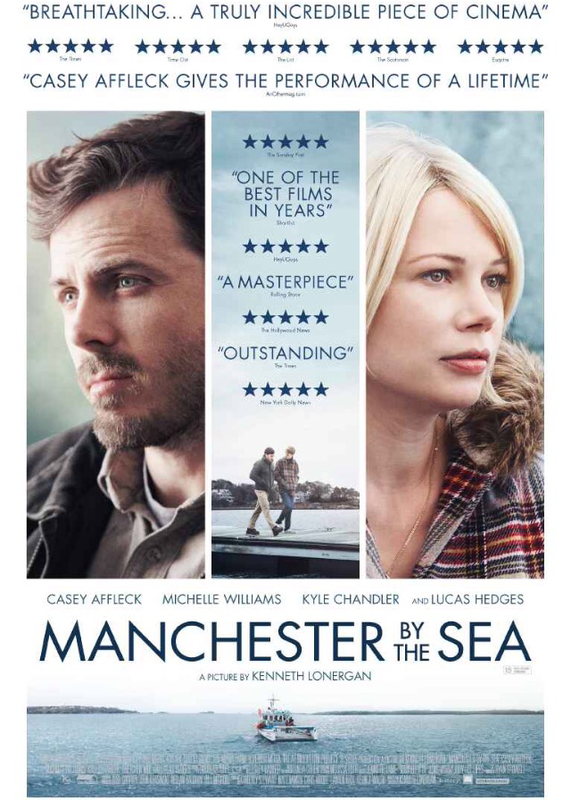 Manchester By The Sea is one of the best films I’ve seen in a long time and it is worthy of all its accolades and critical acclaim. 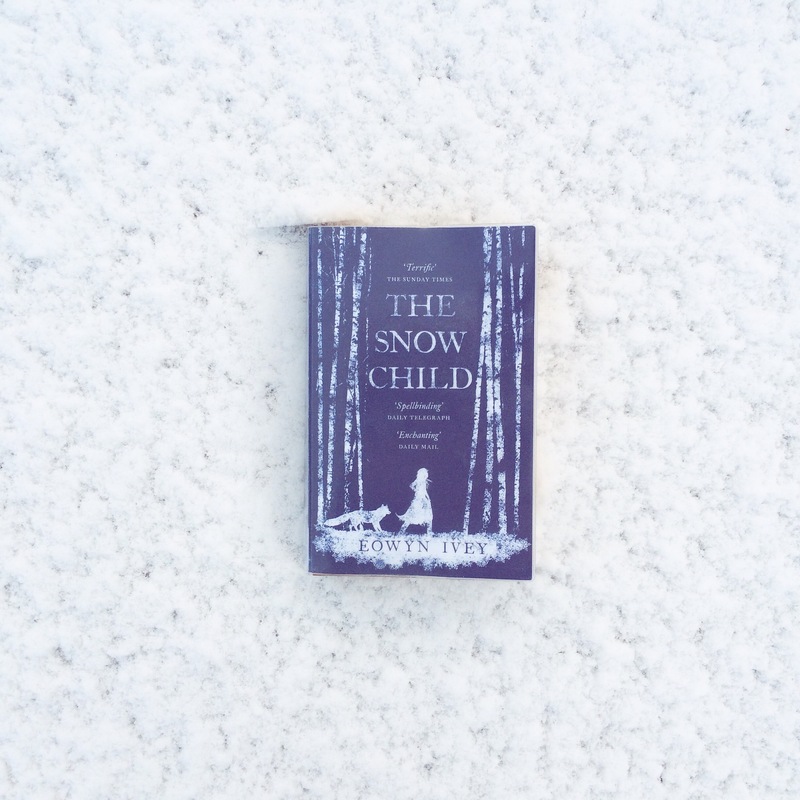 The Snow Child is a story that takes place in Alaska in the 1920s and focuses on Jack and Mabel, who have undertaken a fresh start in a remote area, after the death of their baby many years previously. When a mysterious young girl starts to appear on their land, they are wonderstruck and begin to let her in to their lives. But will the little girl let them into hers or will she disappear again? The Snow Child is a book I have wanted to read for many years, yet somehow I have never gotten around to it. When the opportunity came to join a readalong on Bookstagram, I jumped at the chance. I am so glad I have finally read this wonderful story. The harsh Alaskan landscape is depicted through beautiful imagery that doesn’t detract from the brutal cold climate. Ivey has a remarkable way with words and portrays winter in such a wondrous manner that really entices me to visit and explore Alaska. I read this book in January, which was the perfect time of year for this novel. To my delight, snow even arrived while I was reading the book, which enhanced the atmosphere as well as providing some fantastic photo opportunities. The Snow Child deals with many themes, including love, loss and family. The loss of Jack and Mabel’s baby threatens to fracture their relationship and their struggles to cope in the harsh Alaskan climate continues to have a negative effect, taking a financial toll on the couple. The arrival of the mysterious girl not long after they build a snow child has a positive influence on their lives as they begin to form a family unit. The girl’s appearance certainly has a magical quality and parallels the Russian fairy tale Snegurochka that Mable refers to in the story. Using this story implies the possibility of magic, yet hints at tragic undertones. The third part of the novel veers in a surprisingly unexpected direction and I agree with other reviewers that it felt rather rushed. Yet I still adored this book, which gave me a sense of appreciation of life’s conveniences in today’s modern world. At the heart of the story is the love between family and how it can take shape in all forms. While the book has a fairytale quality, it harks back to the more darker fairytales such as the Grimms fairytales, where its origins lie as apposed to today’s Disney retellings. This creates a sense of realism in the novel and the reader constantly has a sense of dread at what may lay ahead.